Over 25 years of laundry services. Open 7-days-a-week, our friendly staff will help you with all of your laundry needs - including wash-dry-fold & dry cleaning services! 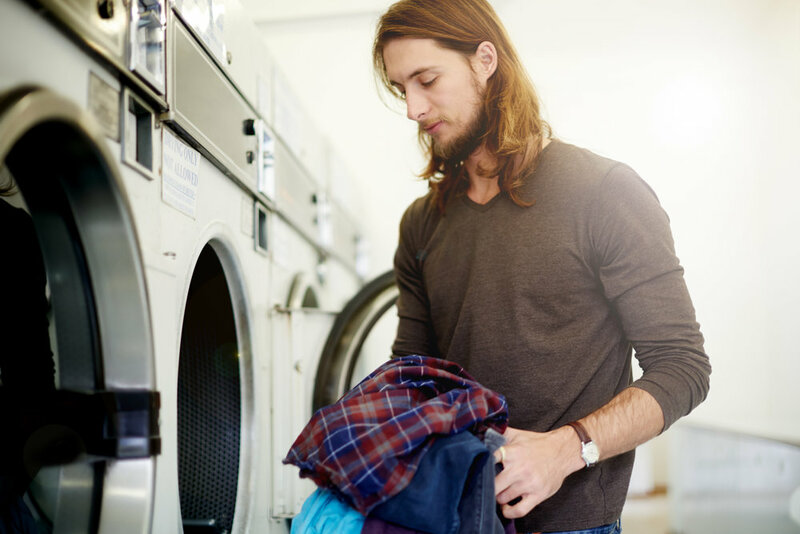 Our washers and dryers are available for self-service use 7-days-a-week. The machines range in price from starting at $3.25 per wash load and $0.25 for 5 minutes of dry time. We offer front and top loading machines for all of your laundry needs and most machines accept credit cards! We accept a wide variety of clothing for off-site dry cleaning. From basic button-down shirts to coats we offer competitive pricing and outstanding service. Dry cleaning is not done on premise and is usually ready in next day if you bring to us before 12 pm today, except Sunday. Make your life easy! Let our professional staff take care of your laundry! We accept drop off laundry for wash-dry-fold service priced at $1.50 per pound with a 10 pound minimum. We have a 24-hour turn around time and text your when its ready. Click below or call for more information.